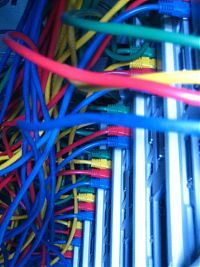 geek technique :: get your geek on! It has been almost two years since our beloved Mark was struck by a cruel stroke and passed away a few days later on september 20th 2008. There’s hasn’t been a day that he was not in our thoughts, in our minds, in our feelings. The sorrow wears only al little, and the scars of the loss of our son, our brother, brother in law, our friend wil remain for the rest of our days. We will miss his presence, his lively conversation and his bright ideas. The months after his death were hard and painfull. But the support of all of you, especially his direct friends, the folks of Nieuwe Garde, the guys of his jaarclub in Rotterdam, and the Pecha Kucha-people were a great help to get us through this period. We also mention Marks girlfriend Victoria, who had to bear the loss in Argentina, far away from everything that was connected with Mark. It is hard to imagine how difficult it must have been for her. We want to thank her once again for being such a source of happines for Mark in the last months of his life. Hold on girl! And stay in touch. This website is the virtual reminder of Mark and his projects and ideas, a virtual tombstone that should remain. Until now all of you could place your thoughts and comments on the site. 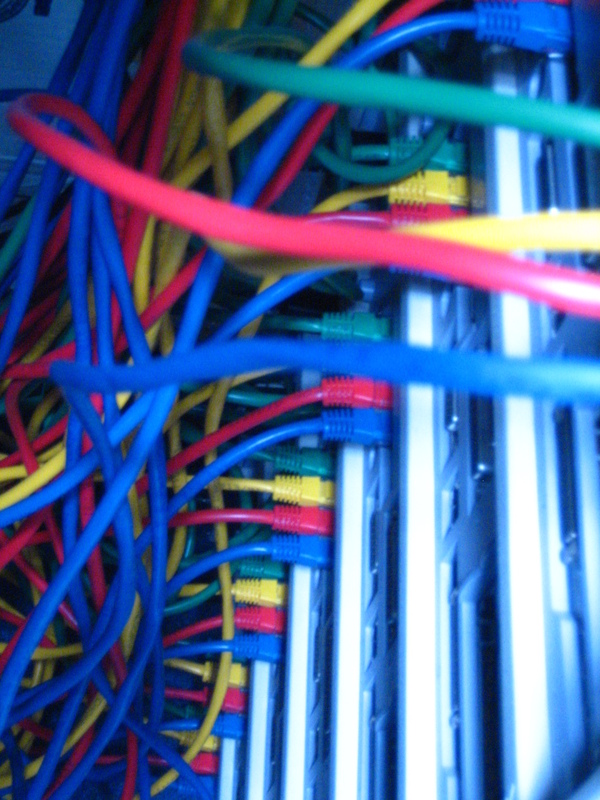 Soon, Marks site will be static. This means that it will be no longer possible to comment on his ideas and projects, but that we all can continue to cherish his creativity. 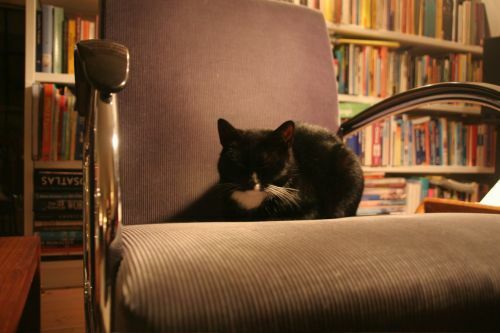 And for all of you who worried about Bates, Marks’ black cat with the little tail, she lives with Marks’ sister Liesbeth and her family. It’s nice to have her with us. It feels like there’s a little bit of Mark with us every day. And as far as we can judge Bates is happy as she can be. Mark liked to ‘get his geek on’ and his blog GEEKtechnique.org showed the world how to get its collective geek on. 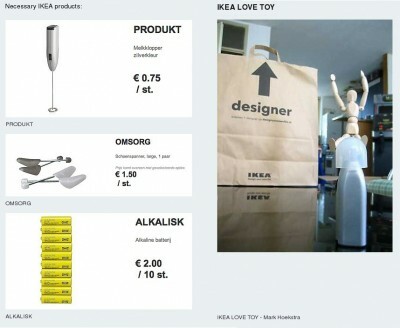 Whether an iPod charger for his bicycle, a love-toy made from hacked Ikea products or his iNoPhone collection — Mark inspired many with his amazing creativity which he so generously shared. PechaKucha Night met Mark, as you would expect, online and shortly after PechaKucha Night Groningen was born with the first event held in October 2006. PechaKucha Nights were held all over the city in old churches, department stores — Mark and PechaKucha even made it onto national TV. Sadly and very unexpectedly Mark passed away on September 20th, 2008. He was 34. Many of you asked about Bates in the weeks following Mark’s death. First, I want to thank all of you who did for your concern. It shows how much you cared about Mark, even though most of you have probably never met him in real life, or Bates. Thank you! Right after Mark passed away, one of his sisters took Bates in. After a while, she and her family decided to let Bates stay. 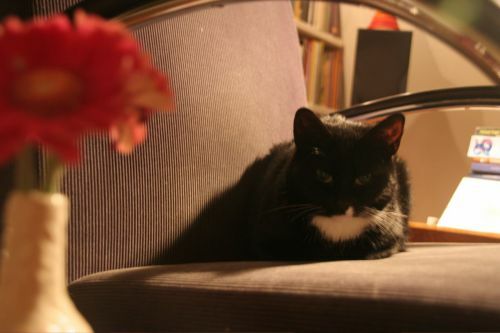 Although it did take some time for Bates to get accustomed to being around regular folk, and even two other cats (Mies and Jochem, who are, in fact, both of the female persuasion), the deciding factor appears to have been Jan, Bates newest bestest friend of six years old. Last night we celebrated the tenth edition of Pecha Kucha Night in Groningen. On stage in De Stadsschouwburg (which is a truly magnificent theatre that celebrates its 125th ‘birthday’ this year) twelve people shared their hopes, dreams and fascination for all things creative with an interested audience. Platform GRAS, one of the organizing parties, posted some nice pics today, that you can find here. 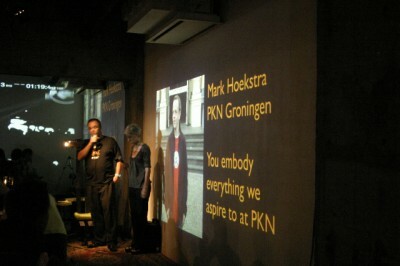 The Pecha Kucha Nights organization will initiate an International Mark Hoekstra Pecha Kucha Nights Award that will celebrate the geekness that we all came to love in Mark. Starting 2009, the Award will be, well, awarded on a yearly basis. 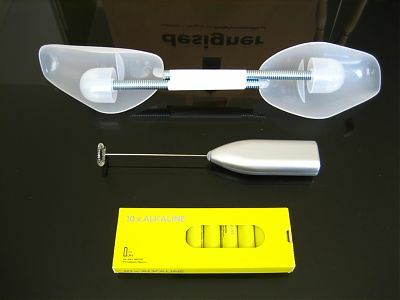 We will work with Mark Dyson an the PKN crew in Tokyo in figuring out how this is going to work exactly. Mark’s family and all of us here in Groningen are very, very happy with this wonderfull gesture of the PKN crew, and we hope you can also appreciate the new award! Our global PKN family is very close to us all here in Tokyo, and the news is really difficult for us digest. Mark embodied everything we aspire to at Pecha Kucha night (...) his spirit was so Pecha Kucha. As friends of Mark, we figured you might appreciate an update on things. 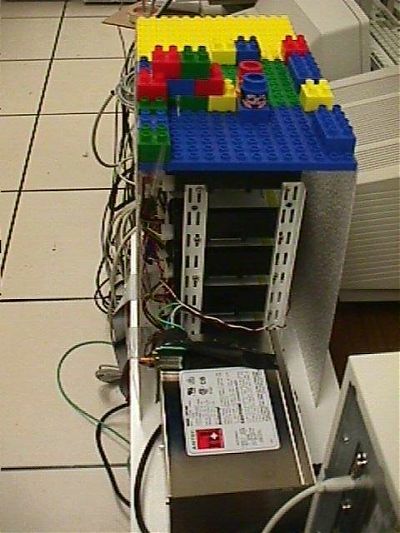 It took us a while to find/hack our way into his server (which should be no surprise to you), but we finally managed. We hope you will forgive us for trespassing. 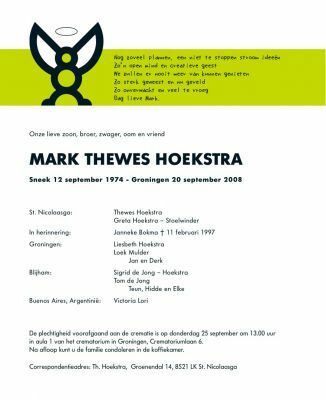 On Saturday September 20, 2008, Mark Hoekstra passed away. Mark suffered a heart attack on Wednesday the 17th while on his bicycle. He was admitted to the hospital and kept in a coma. Friday night he was pronounced braindead. In the spirit of his open source thinking, his family agreed to a donor procedure for which Mark was kept alive. He finally passed away on Saturday morning. Mark had just turned 34 on the 12th. 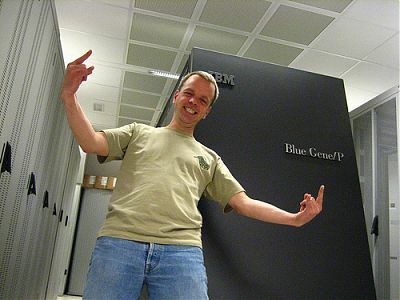 Mark will be cremated coming Thursday, in Groningen. Marks family and girlfriend are in our thoughts continously during this difficult time. With Marks passing away, the future of this site has become uncertain. While we are sure the site will remain online for a considerable time to come, we are looking for a proper way to honour Mark and his assembled works. Please leave your thoughts in the comments, or send us an email at lykle [at] nieuwegarde.nl. 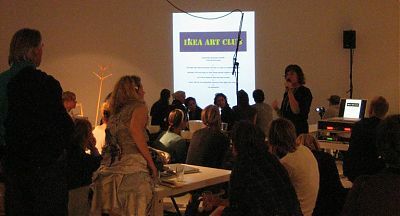 Last Friday I went to Amsterdam, first to visit the IKEA and afterwards to visit the exhibition Platform 21 = Hacking IKEA. The nice people of Platform 21 asked me a while ago if I could make something for this exhibition and of course I could! I’m quite thrilled that my project is part of this exhibition and last Friday (which also happened to be my birthday ^_^) I went there for the opening of the exhibition. 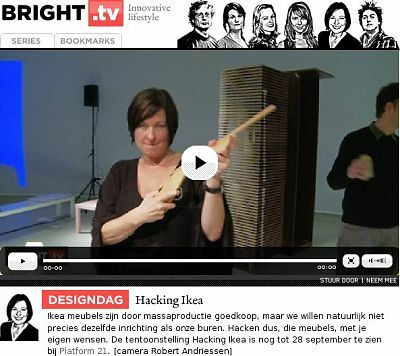 It was a nice experience, I really enjoyed cooperating with all the IKEA hacking that is going on in Amsterdam right now. Today, the 7th of September, Google is ten years old. Although there are some questions about the real date, Wikipedia is reporting the 7th of September 1998 as the official date Google was founded. Still, it is to be expected that Google itself will change its logo on September the 27th, although they’ve changed their logo on September the 7th as well in recent years. Ah well, who cares what the exact date is? They’re ten years old just about now, so cheers to that! I’m not going to look back in detail on ten years of Google, there are already and there will be lots more who do that, next to that, Google themselves keep a good track of their own history. No, what I’m really interested in, is how they started, from a hardware point-of-view. A while ago, I stumbled upon this picture. 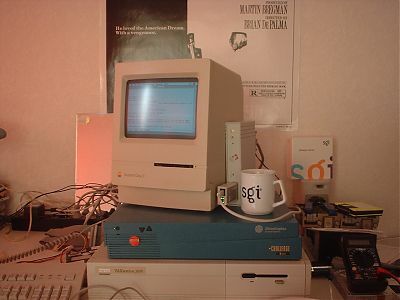 It’s said that that’s Google’s first production server and nowadays it’s at the Computer History Museum in Mountain View, CA, which, by the way, is a former Silicon Graphics’ headquarters, just like Google’s headquarters on 1600 Amphitheatre Parkway in Mountain View, CA. 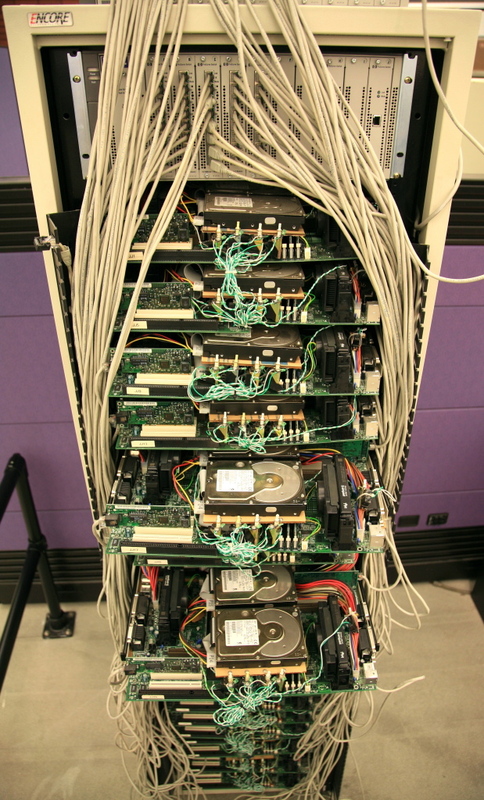 What you can see is a bunch of Pentium II PC motherboards and CPUs, with what looks like IBM 9GB SCSI disks on top of them, resting on cardboard, which itself is resting on the vertical aligned memory modules. 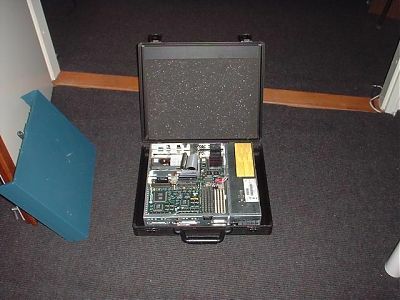 With limited funds, Google founders Larry Page and Sergey Brin initially deployed this system of inexpensive, interconnected PCs to process many thousands of search requests per second from Google users. 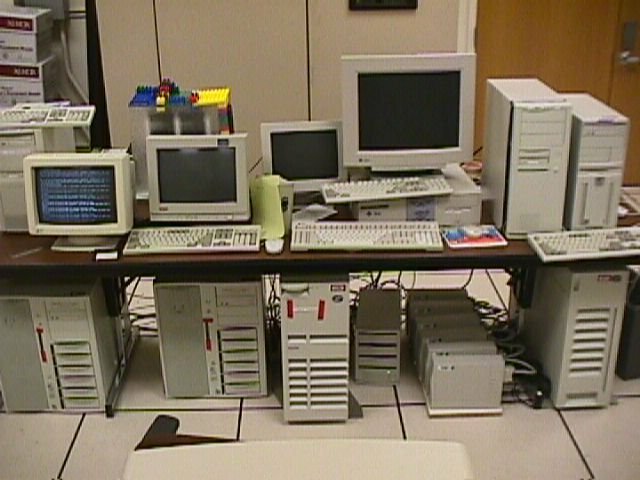 This hardware system reflected the Google search algorithm itself, which is based on tolerating multiple computer failures and optimizing around them. 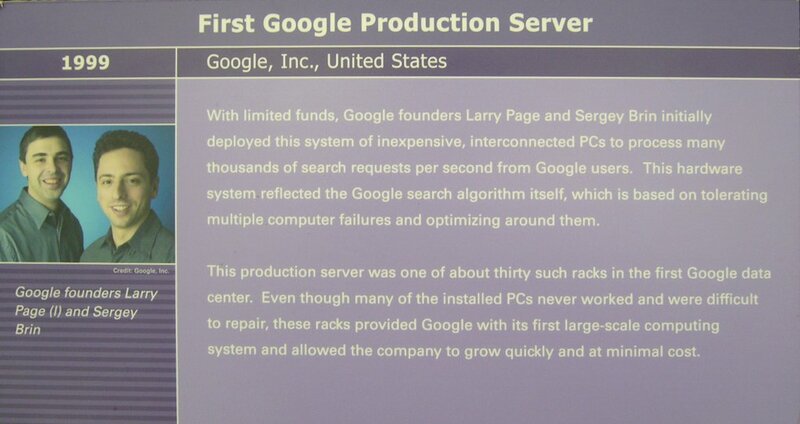 This production server was one of about thirty such racks in the first Google data center. Even though many of the installed PCs never worked and were difficult to repair, these racks provided Google with its first large-scale computing system and allowed the company to grow quickly and at minimal cost. But… this is already a couple of steps up the (r)evolution ladder. 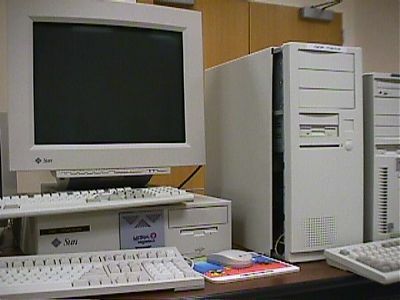 Luckily, thanks to the Wayback Machine (which, afaik is not housed in a former SGI headquarters, but maybe they should too), we can still find copies of what Google looked like in the really early days. 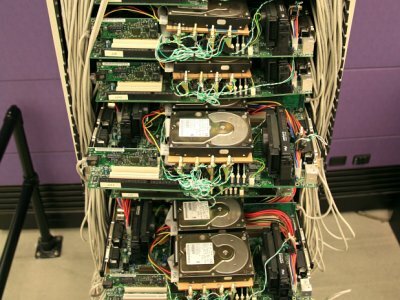 And there, as part of the oldest indexed copy of http://google.stanford.edu, we can find some pictures and stats for the Stanford Google Hardware. 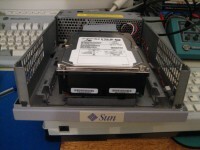 This is our faithful Sun Ultra II with dual 200MHz processors, and 256MB of RAM. This was the main machine for the original Backrub system. 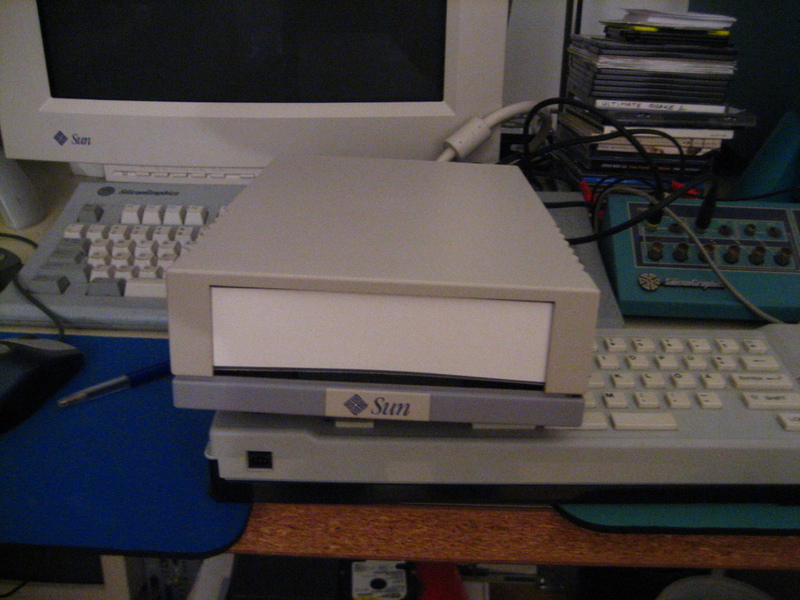 This is our homemade disk box which contains 10 9G SCSI drives. The whole thing. Now which keyboard do I use? // INTERNET ARCHIVE ON 20040403102426. // ALL OTHER CONTENT MAY ALSO BE PROTECTED BY COPYRIGHT (17 U.S.C. Mine even has close to a gig of memory as opposed to their 256MB. And then I’m not even mentioning all the other Sun Ultra I boxes I have. And instead of building disk enclosures out of Lego blocks, I even have something the Google boys didn’t have, a 180GB (yes, that’s not a typo) SCSI-disk, which I put in an old Sun tape drive enclosure. Anyway, my plan to overthrow Google is probably just as valid as the others and Google isn’t going to be overthrown on search, simply because they do a good enough job on that and probably will do for quite some time. Next to that (imho) this is simply not the time. No, the only time to ever overthrow Google is when their revenue runs dry and their main income happens to be, of course, advertising. Before Google everyone was convinced Altavista (I’m old enough to have used altavista.digital.com) did a proper job on search. 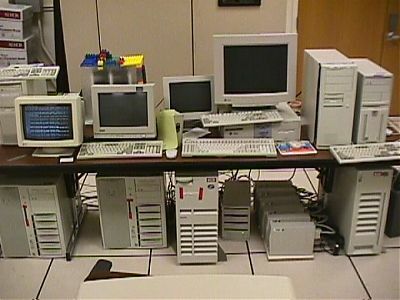 And before NVIDIA everyone thought Silicon Graphics did quite a good job on graphics, right? And just as Google thinks the way to overthrow Microsoft is by making the need for a standalone operating system more or less obsolete, the way (and time) to overthrow Google will be when there’s no need for advertising anymore, or at least, not through their system. And who says Google is doing a good job on advertising? What’s the reference there? Personally I wasn’t too impressed with the earnings anyway, one of the reasons for me to don’t do ads at all. 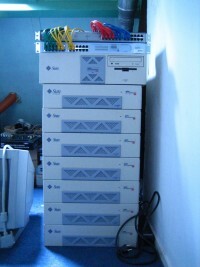 The five year celebration of this site (thanks for all the positive comments! ), was followed up by the longest moment of silence in the history of this site. Partly because I had the longest holiday of the last five years (and by far the best one too! For those interested in my personal life, there’s a flickr album), partly because I’ve been going through a lot of code the last few days because I really really wanted to switch to my two server setup fully with Lighttpd, but, with an upcoming project which I had finished in the background, I now decided to post that one (as a last one) on the old setup, before I really make the switch. I ran into trouble on getting the right regex expressions in my lighttpd.conf, which is needed to switch (in a right way) from Apache to Lighttpd. Throughout the years this site has grown to being partly statically hosted and partly through the CMS (textpattern), so a simple trick (404 for instance) to feed everything to the CMS/index.php doesn’t work and I’ll need more time to get everything fixed. It’s part of an upcoming exhibition at Amsterdam based Platform21, called Platform21 = Hacking IKEA and I was asked to join the fun. five years of geek technique! That’s right… it’s exactly five years ago since I started this page. After that it would almost take two years before I really started to get some visitors (besides spam bots and people who are lost in google and such) and since then this site is doing ok, not that it matters that much to me how many visitors I get, I mean this site is not about page views and such, I just write (and make) what I like and if there are more people that like it, the better. And that’s about it, there’s really not much more to it. But well, I’m in a little bit of a hurry right now and I don’t have the time to really go sit down and reflect more about all that has happened in the last few years. I can only say one thing, geek technique has been good for me and I truly wish I can continue geeking around here for a long time to come. Why am I in a hurry? Well…. at the bottom of this post I already told you a little bit of the magic that has happened between me and Victoria from Buenos Aires and at this very moment… she’s in a plane! I’m going to leave in a few hours by train to pick her up, in Frankfurt. Frankfurt? but it says Paris on your shoes!